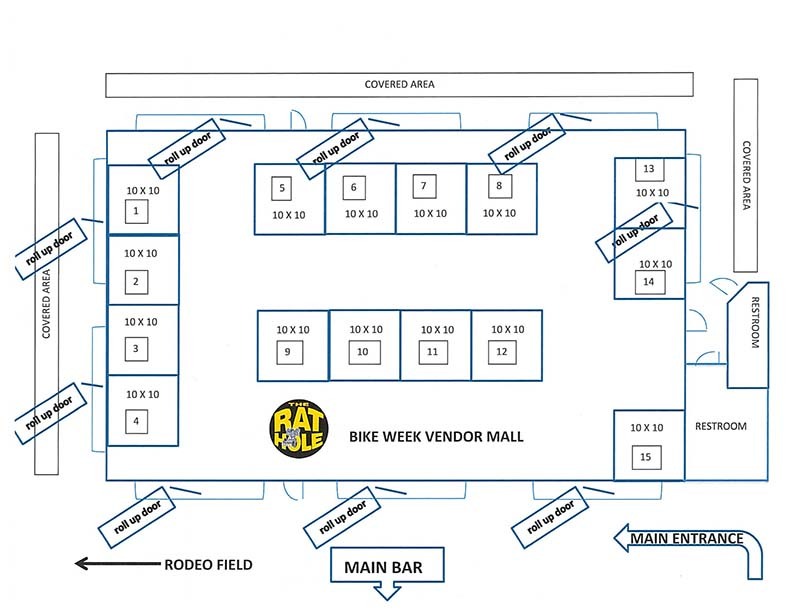 The Rat Hole is looking to be the home of long term vendors and the prime destination for all rally guests. We're ready, willing, and able to serve the needs of vendors and guests alike. 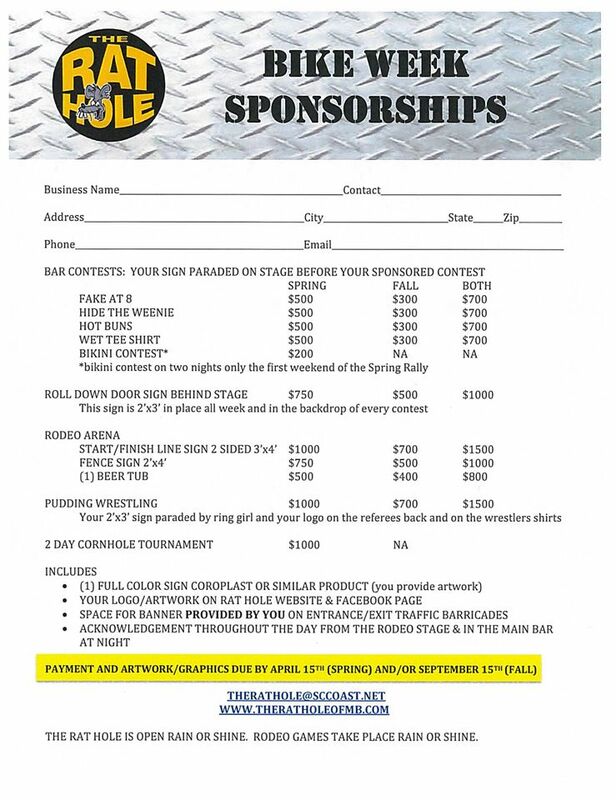 The Rat Hole is looking for vendors of all types. We have limited black top available this year. The majority of spaces will be located on the grass. 110 power will be provided to those who need it at no additional cost for the Spring Rally. Email us for Rates and Registration. RVs and large rigs are very welcome. The property is easy to navigate. All vendors are welcome to camp with your rigs. 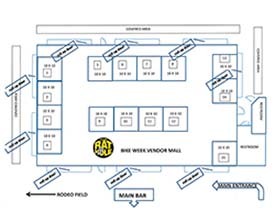 A Super 8 Hotel is located 1/2 mile from The Rat Hole. 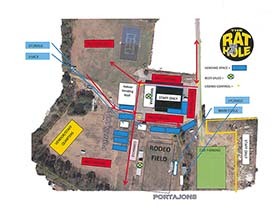 24 hour grounds security will be supplied, although we do ask that you secure your merchandise if you're not on site. Vending hours of operation will be 10:00 AM to midnight. Rat Hole daily events will begin in the afternoon. To make your stay more inviting, The Rat Hole staff will pull your permit for you. All you'll need to do when you get here is set up and get ready to sell your products! Your permit placard will be available to you at registration for display on your booth or rig.